I'm the sort of person who already selects what I am going to order at least a good few days before I even arrive at a restaurant, so I knew what I wanted to eat before I so much as stepped inside Vospers. Given my complete inability to successfully whip them up myself, I decided that what I really wanted to chow down on were some poached eggs. 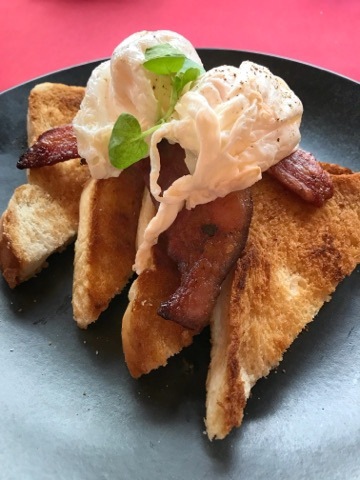 In fact, you can opt to have your eggs however you want them and they are served up on tasty homemade toasted bread. You can also add some extras if the mood takes you. I added some crispy bacon to mine, just because. Looking around the table, everyone else's meals looked equally as yummy as mine. 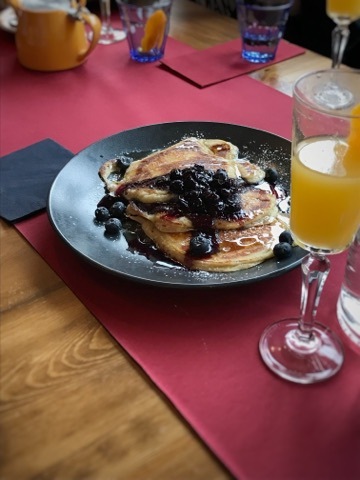 Just look at these blueberry pancakes which, I hasten to add were not my brunch pudding (I'm not that greedy), but just looked too good not to get a snap of. After eating we sat, chatted, let our food go down, ordered some more drinks (silly me for driving - the mimosas looked so good!) and put the (blogging) world to rights. 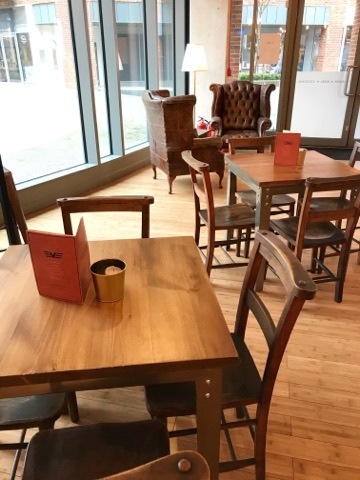 The bar has a really nice, cosy atmosphere so it was easy to get absorbed in conversation and let time run away with you on what happened to be a very rainy day. 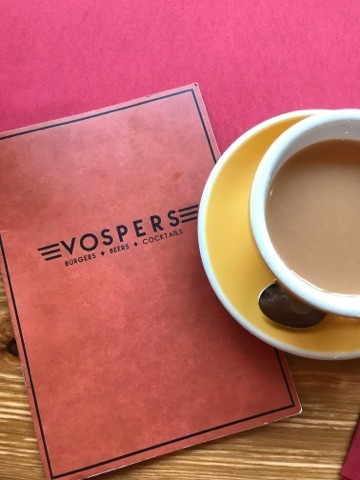 You can drool over the brunch menu right here and if it wasn't clear already from my post, I would definitely recommend you pay Vospers a visit! Looks great , I must get over there .